The Jeep brand has just entered in India but the pricing has thrown off many people. The cheapest Jeep that you can buy in India is the Wrangler and that is priced at Rs. 71.59 lakh. The SUV is available in the international markets at a much smaller price. The inflated import tax increased the price of the Jeep by 170% and after making the profit, Jeep decided to come with this price tag which made many enthusiasts unhappy. Before everyone writes off Jeep brand for being expensive, let us tell you that Jeep is not out of the picture, not yet. The company is working to develop a new product that will be made in India. 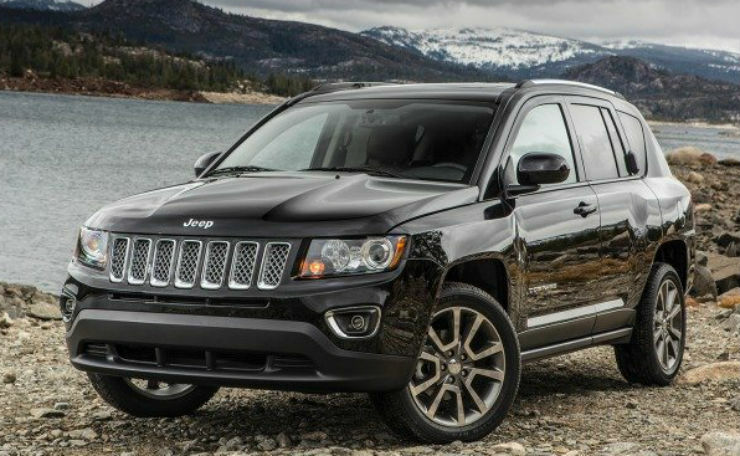 The new SUV will be known as Jeep C-SUV or Jeep Compass and carries an internal codename of 551. The car will be built at the Ranjangoan plant of Fiat and will come to the market by August 2017. It will be much cheaper than the current Jeep models and that will enable many Jeep enthusiasts to get one in their garage. The Compass will be showcased at the 2016 Sao Paulo Motor Show in Brazil that is scheduled to happen in November. The car will also replace the current generation of Jeep Patriot and Compass around the world and will be exported from India to the international markets. In terms of size, the Jeep Compass will be a little small than the Mahindra XUV500 but will be positioned between the XUV500 and the bigger cars like Toyota Fortuner and Ford Endeavour. The car will be powered by a 170 Bhp 2.0-litre diesel engine. There is no word on the petrol engine yet but it will be available on the export models. It will come with a 9-speed automatic transmission, to keep the cost low, Jeep may also introduce a manual transmission with the C-SUV. But we said Brezza in the title? Coming to that, Jeep is also working on a new product that has been codenamed 556. This SUV will be built on the Renegade and Fiat’s 500x platform. 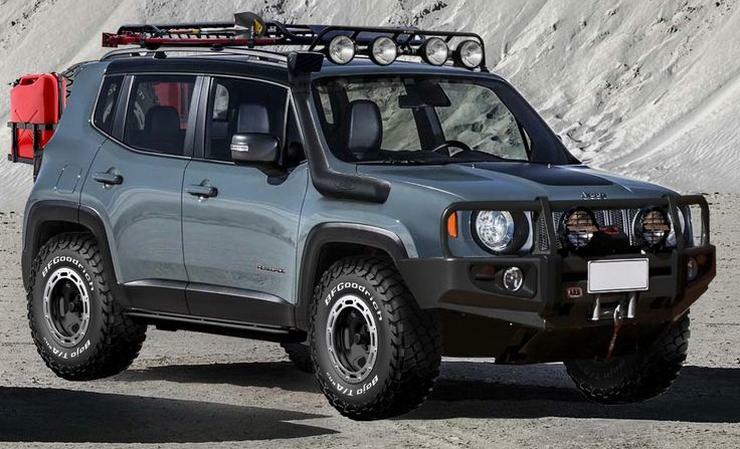 The car will be much cheaper in price and will look similar to the Renegade. This SUV will also take birth at the Fiat’s Ranjangaon plant and will be heavily localized. The new product will also become the cheapest model of the Jeep in the world. Jeep will take on the cars like Maruti Brezza and Hyundai Creta in India with the new SUV. Jeep plans to sell around 40,000 to 50,000 units of the mini Renegade, most of which will go to the export market. Currently, the launch date of the model is not known yet but it should be launched by 2018. 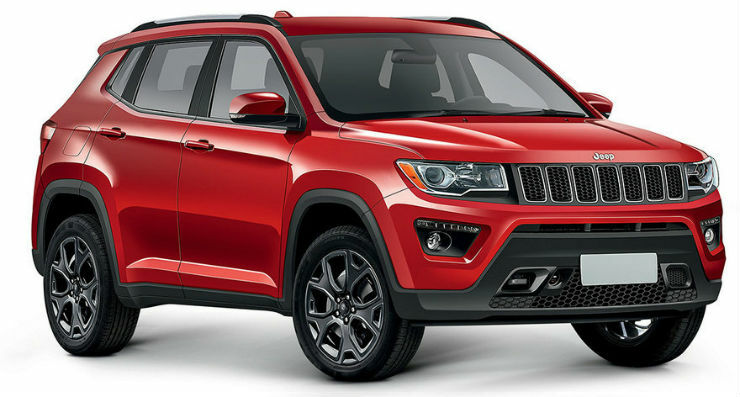 The Jeep Compass or the C-SUV will carry a price tag of around Rs. 15-20 lakhs depending on the equipment and hardware it carries. It will be a premium product from Jeep. The smaller Renegade based SUV will take on the cars like Ford EcoSport, Maruti Brezza, and the Hyundai Creta. It will be priced at around Rs. 9-10 lakhs when launched.